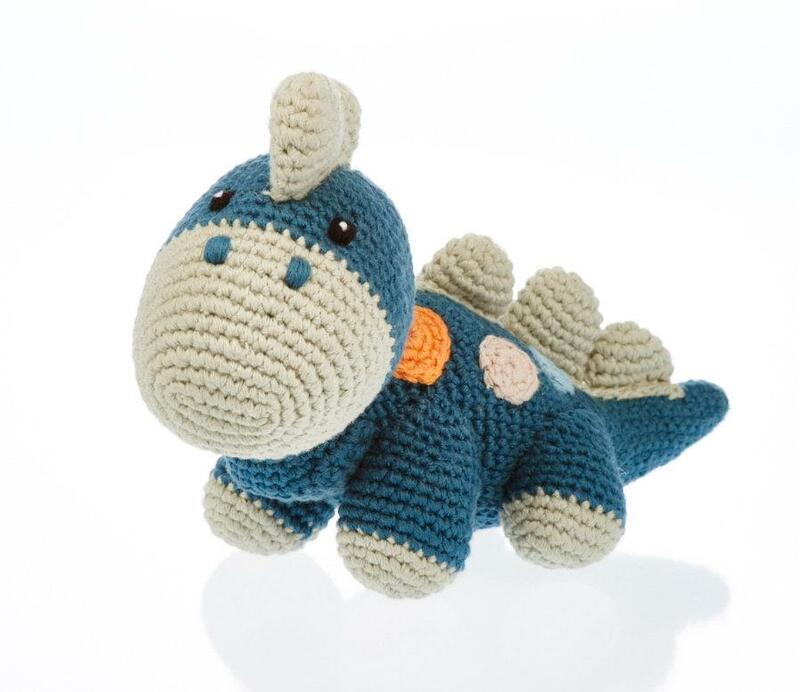 Pebble's gorgeous Steggi dinosaur baby toy is made from 100% organic cotton yarn in petrol blue colour. Tactile cotton and a gentle rattle make this a wonderful baby dinosaur toy. Suitable from birth, machine washable, handmade, fair trade.